Red is actively looking for his forever home... The handsome guy is a 27 year-old 16-hand chestnut Quarter Horse/Thoroughbred gelding. Red is sound and healthy. He has just completed extensive refresher courses in groundwork and under saddle training and is looking and feeling great. He gets along well with both people and other horses. He is gentle and willing and would be wonderful for the right experienced rider who enjoys riding in an arena or on trail. D'Artagnan is looking for his new forever home. He is a very handsome, approx. 20 yr. old TB gelding, 16 hands, who is very personable, sweet and willing. He is sound and would love to have his very own person. D'Artagnan has not been trained for the trail and would be better suited for someone who wants to play in the arena or around the ranch. He has been with us for some time now and has received extensive training using natural horsemanship methods. He requires an experienced and confident horseperson to share his life with. Tico is an approximately 19-year-old Chilean Warmblood gelding. He is smart and sensible and enjoys being busy. Tico would do best with someone who likes to do slow paced trail riding or hacking around a ranch or arena. Tico does require a fairly confident rider who will enjoy working with his sometimes exuberant energy level! For more information on this handsome guy, please contact us at connect@calcoastalhorserescue.com or at 805.758.8312. Penelope is an approximately 13-year-old Quarter Horse mare. This lovely mare is smart and sensible and she is doing very well with the final touches on her training. Sound and healthy, Penelope, is looking for just the right person to share her life with. Please contact us at connect@calcoastalhorserescue.com if you would like more information on Penelope. Heart is an approximately 19-year-old gray Egyptian Arabian gelding. He is 14.3 hands in height. This free spirited extrovert has extensive trail experience. He is attractive, sound, and healthy. Heart is extremely social with both people and other horses. His unique sense of humor combined with high intelligence make him both entertaining and challenging to manage. 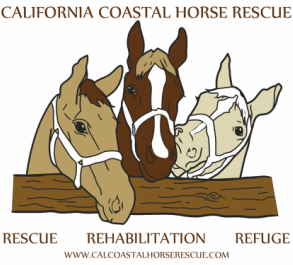 Please contact us at connect@calcoastalhorserescue.com if you would like more information on Heart. Dream is a beautiful 15-year-old registered 1/2 Arabian/Saddlebred mare. Dream is currently undergoing rehabilitation and training at the CCHR ranch. She came to CCHR without ever having had much handling but she is coming along beautifully with her groundwork. Eager to learn and very friendly; she has just started being ridden. Please contact us at connect@calcoastalhorserescue.com if you would like more info on this lovely mare. Jessica is a 16-year-old Arabian/Saddlebred mare. Jessica is back from her rehabilitation and training at our off-site training facility. She came to CCHR without ever had any handling but she is doing very well and and is really starting to blossom. Very sweet and friendly; Jessica is now being ridden successfully in an arena and out on trail. She is loving trail rides! Please contact us at connect@calcoastalhorserescue.com if you would like more info on Jessica. Jessica out on trail! We love how she is out in front and just going for it! Indi is an approximately 7-year-old Friesian/Appaloosa mare. 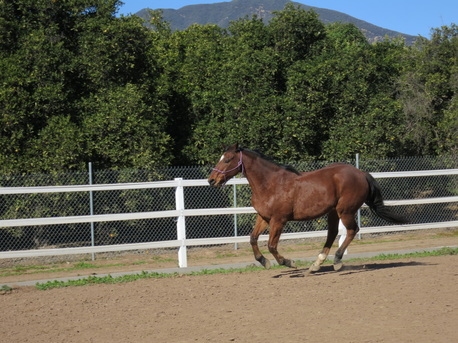 Super willing and very social, Indi has been in training/rehabilitation at the CCHR ranch. She is looking for a special person of her very own and needs someone who will bring happy confidence to her as she is in the somewhat earlier stage of under saddle work. Mo-Mo is super friendly and has very nice ground manners. He does well under saddle and loves to do trail. Please contact us at connect@calcoastalhorserescue.com if you would like more info on this handsome boy!